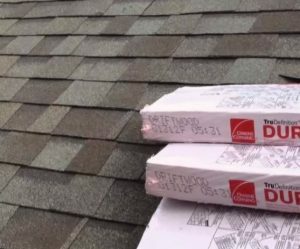 Choosing the right roofing shingles for your home or business can be an overwhelming undertaking, especially if you don’t know what you are doing. That is why when it comes to roof replacement or new roof installation, seeking the help of an experienced Austin, Texas roofing contractor is of great advantage. Here at Dustin Johnson Exteriors & Roofing, we will make it easier for you to choose the style, configuration, color, and price point of the roofing product that you need and deserve the most. It has been more than two decades since our company has been helping homeowners and business owners choose the best roofing product for their residential or commercial properties. We take pride in giving our valued customers the most accurate and customize advise that will help you avoid costly mistakes and irreparable errors. When you choose Dustin Johnson Exteriors & Roofing as your Austin roofing contractor, you can be assured that our specialized knowledge and immediate assistance will be at your disposal from start to finish of the roofing installation or roof replacement project. Thus giving you more time to focus on things that matter most, like your family who lives under your roof. Check What Others Are Saying About Our Services! This roofing material has become popular due to its durability and rustic curb appeal. A metal roof comes in various forms, including but not limited to steel, aluminum, copper, and tile. You may feel good when you choose this type of roofing product for your property, as it has been known to last for more than 50 years. This material is light and easy to install, and its price varies depending on the type of metal roofing you choose. Slate is considered as one of the pretty looking roofing materials that can withstand even the nastiest weather condition. However, not all property owners can make use of this particular roofing product, for it also has its own pros and cons, including its very heavy weight. Hence, homeowners desiring to avail of the aesthetic appeal that a slate roofing brings, you should make sure that your home or building structure can withstand the weight of a slate roof. If you are looking for the aesthetic appeal that a slate roofing could bring to your property, plus the durability of a metal roofing, you should consider asphalt shingles as your top roof replacement or installation roofing product. Asphalt shingles are considered not just as a top roofing material, but the most popular roofing product among property owners. As of the current writing, it has been estimated that 75% of homes in the country, including residential properties here in Austin, Texas, make use of asphalt shingles. Apart from the wide array of selection, durability, and flexibility in terms of installation, an asphalt shingle is also the least expensive. Why We Trust Owens Corning Shingle Roof? It Seals: As a leading brand, the shingle product of Owens Corning is known to create a waterproof barrier that completely blocks off water caused by snow & ice, and rain. It Defends: Owens Corning is aware of the environmental setback that each roofing system experiences each year, which is why they have created a roofing product that gives additional protection and defense against Mother Nature’s strong forces. It Breathes: With Owens Corning shingles a balanced attic ventilation is possible, for it allows air to flow through to prevent moisture buildup, mold, or even deterioration of your roofing system. If you desire something unique, easy to install, and affordable roofing products, you can always turn to your trusted roofer in Austin, like Dustin Johnson Exteriors & Roofing. We provide the best roofing products along with the best most prompt, efficient, and budget-friendly roofing services, including but not limited to roof repair, roof maintenance, and roof replacement. We also offer flexible roof financing options to help you start your roofing projects. To avail of the free estimate we offer, call us at (512) 337-2661 today, or visit us at 901 S MoPac, Expy building 1, #300, Austin, TX 78746 for a free consultation. You may also follow us on our Dustin Johnson Exteriors & Roofing Facebook Page, Dustin Johnson Exteriors & Roofing Twitter & Dustin Johnson Exteriors & Roofing Instagram Accounts. Contact us today!